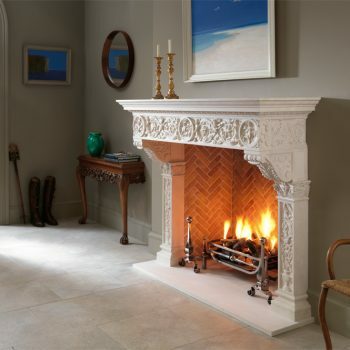 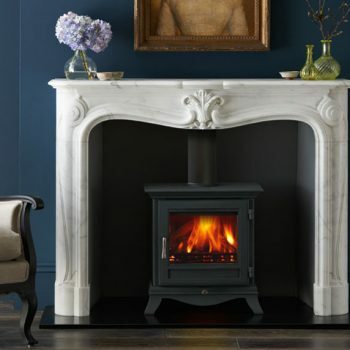 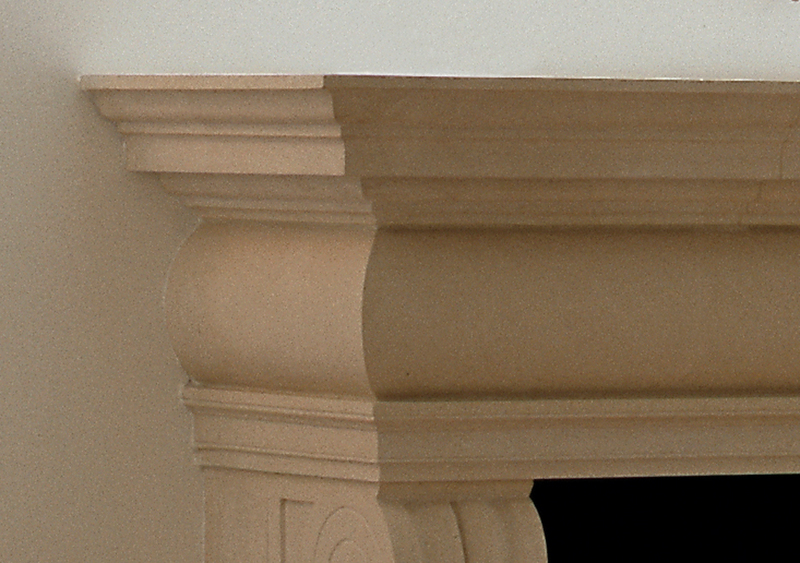 Chesneys Vicenza fireplace is a stone chimney piece of Italianate design and impressive proportions with elegant console jambs and a generous mantel shelf. 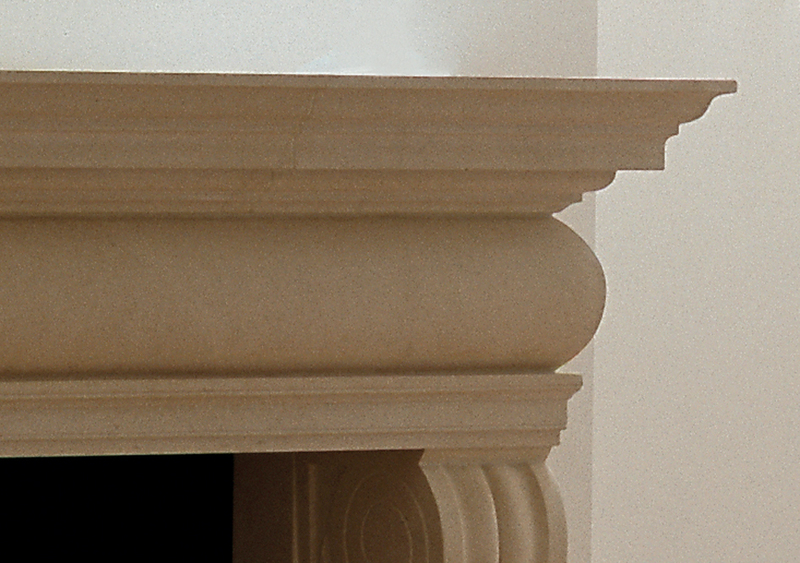 Shown here in English Bathstone with the Ducksnest fire basket for dogs, Burton andirons, black slate hearth and slips. 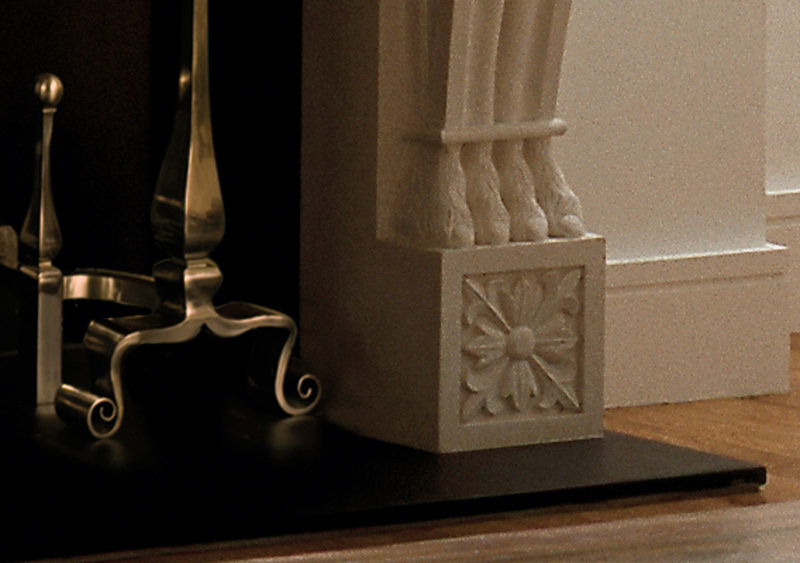 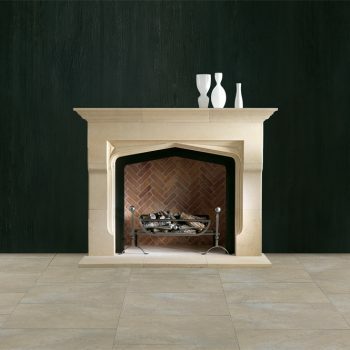 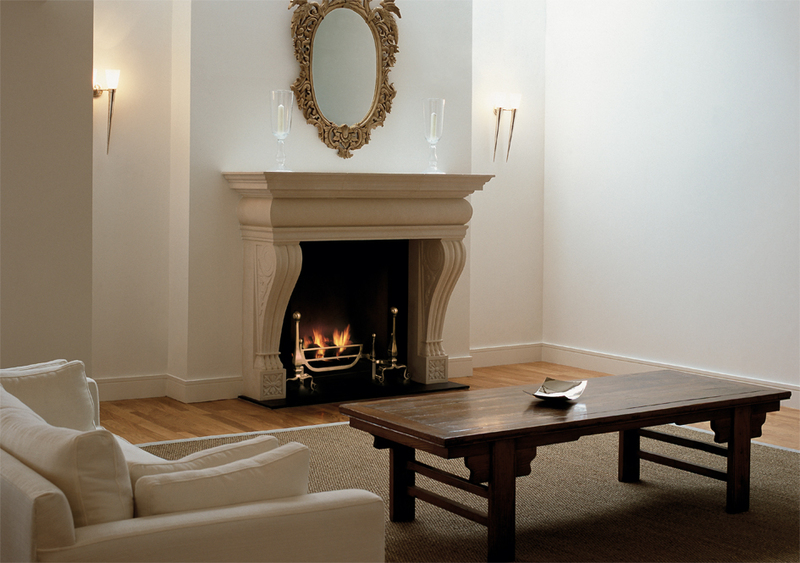 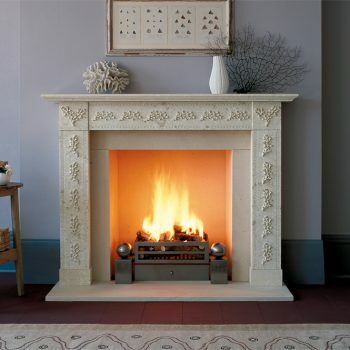 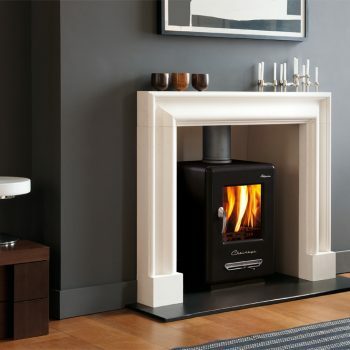 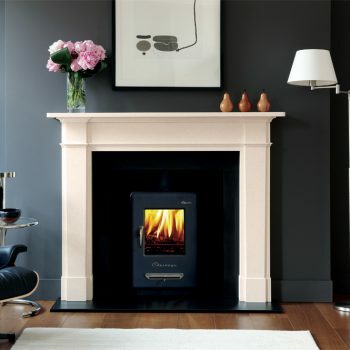 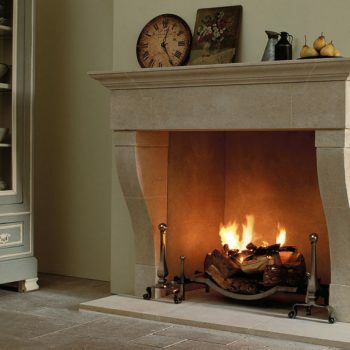 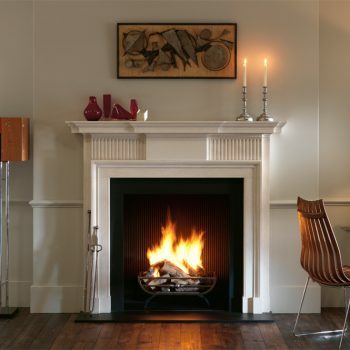 Please note: The standard production material for this fire surround is Bianco Avorio.